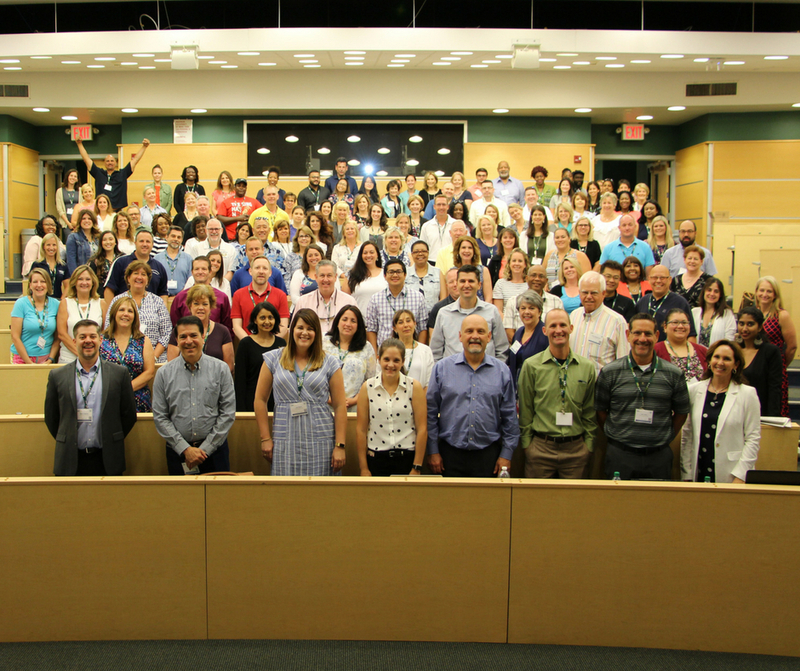 During the week of July 9, 2018, more than 160 new and veteran facilitators from all over the U.S. came together at LIU Post for the annual National Teachers Conference, the biggest VE professional development event of the year. Ryan McAllister, Education Sales Leader and Emily Watkins, Education High School Account Manager from Intuit showed VE facilitators how they can help their students manage business finances using QuickBooks. Facilitators gained access to resources and support, plus watched a live demonstration of QuickBooks features they’ll need for teaching the class. This marked the official launch of a partnership between Intuit and VE in which every VE class will have access to QuickBooks, gaining the opportunity to develop and demonstrate real-world skills using an industry-leading accounting software package. The gig economy, remote workforce, hoteling and coworking, automation, AI, disruption… the future of work is a hot topic in today’s conversation. An even more significant point for educators is how do we prepare the next generation of young people for jobs and careers that do not yet exist? In the Future of Work series, we explore these topics through a series of meetups, workshops, industry visits and externships designed to introduce VE facilitators to the latest trends in industry, business practice, and career development. Robert Bernton, Head of Waze Mid Market, North America, Google; Jennifer Stredler, Vice President of Workforce Development, Salesforce.org; and Jonathan J. Stone, New Business Development Manager of Travel Partnerships, Facebook joined us on Wednesday, July 11, 2018 to discuss the future of work with VE facilitators at LMHQ in New York City. Nearly half a million teachers have received classroom materials through DonorsChoose.org, a nonprofit platform that connects classrooms with donors who want to help teachers get books, equipment, field trips, technology, and anything else their students need. Katie Vallas, who oversees Teacher Success on DonorsChoose, shared expert tips on what teachers who have had 50+ projects funded on DonorsChoose do to stock their classrooms, year after year. DonorsChoose is a special partner for VE because their founder and CEO, Charles Best, was a VE facilitator who was inspired to launch DonorsChoose based on his experience working with VE students. Special thanks to Dr. Kimberly R. Cline, President, LIU for her visionary leadership and longtime support and to the whole LIU team for helping to make the 2018 National Teachers Conference such an amazing experience.